Ranchi College of veternity Sciences and Animal Husbandry was established on 30th November, 1961. (Late) Col. Dr. S. M. Ishaque, G.B.V.C., P.G (Germany), F.R.V.C.S (Sweden) joined as first principal and under his dynamic leadership the main building, hostels and residential units were constructed. It was a constituent college of Ranchi University and functioned under state animal husbandry department till 1970. Ranchi College of Veternity Sciences and Animal Husbandry, Ranchi offers various graduate courses as well as Post Graduate courses. 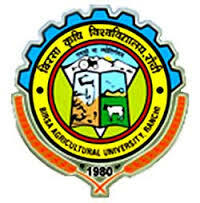 Ranchi College of Veternity Sciences and Animal Husbandry, Ranchi is affiliated to Birsa Agricultural University (BAU), Ranchi. List of facilities available at Ranchi College of Veternity Sciences and Animal Husbandry, Ranchi for students.